I haven't bake any bread for months. The last time I made one was olive bread. I felt the urge to make bread again and I have some instant yeast left at home. 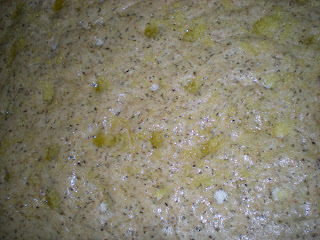 Focaccia bread is a popular bread in Italy where it is usually seasoned with olive oil and herbs. It is somehow like a pizza. Feel free to use fresh herbs or toppings for this bread, be creative. 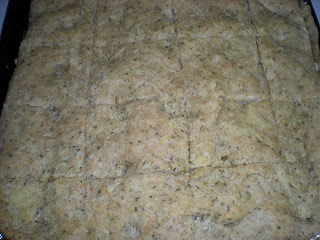 Here is my own version of focaccia. 1. 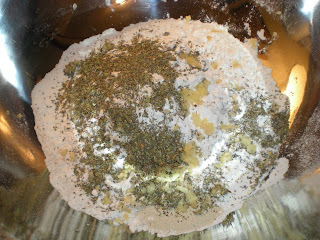 In a large bowl, stir in flour, herbs, yeast and garlic. 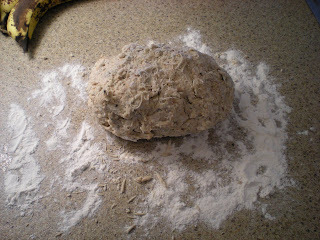 Mix in oil and water enough to form a dough. 2. Turn out onto lightly floured surface. 3. 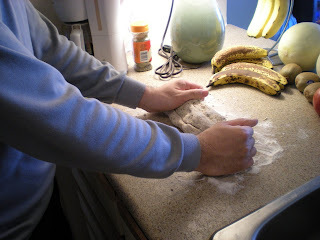 Knead for 5-6 mins until smooth and elastic. 4. 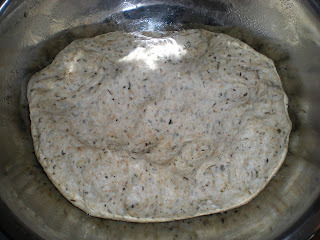 Coat dough with olive oil and transfer to a large bowl. Cover with warm cloth. Put it in the oven with the lights on until dough doubles in size, about 40 mins. 5. Transfer dough onto a large cookie pan. Shape it into a rectangle. Put it back into the oven and let it rise for 30 mins. 6. Remove dough from the oven. 7. Preheat oven to 400F. Brush dough with olive oil and sprinkle with grated parmesan. 8. Bake for 20 mins or until golden. Serve warm. i've made a lot of focaccia but never whole wheat. maybe I should try this. 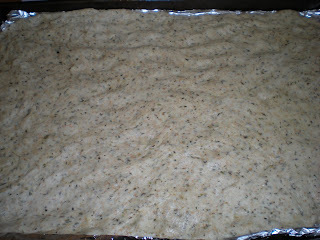 I have been wanting to make focaccia for ages - whole wheat faocaccia sounds amazing!